The free, award-winning research manager from Cambridge University! Welcome, and thanks for taking an interest in Qiqqa. If you're anything like us, you're passionate about organizing information and knowledge effectively. 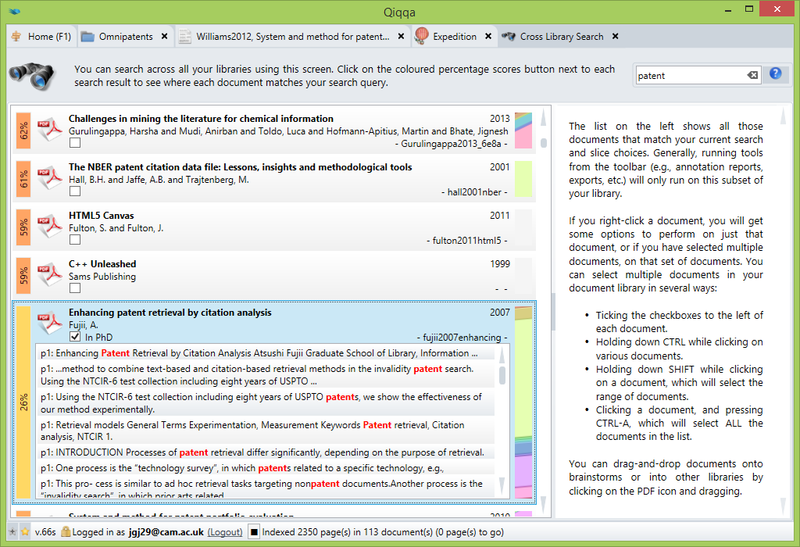 We wrote Qiqqa with this in mind - to help students and professors make the best use of their time by taking the pain out of dealing with large PDF collections. 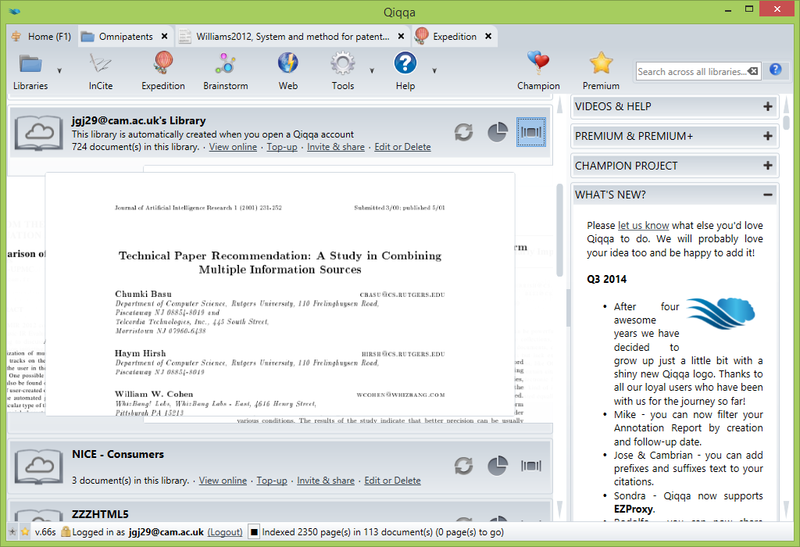 It's loaded with features to make it easier to do research, to write papers and theses, and to produce better results. 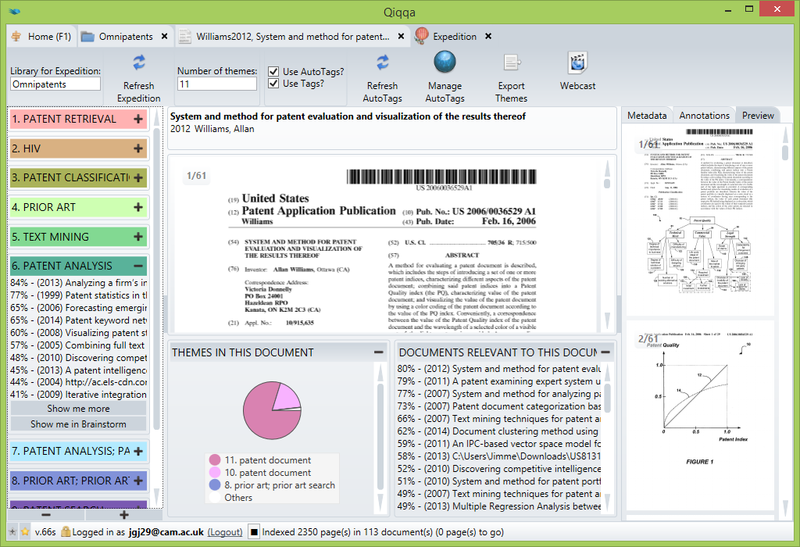 Comprehensive management of your PDF library. 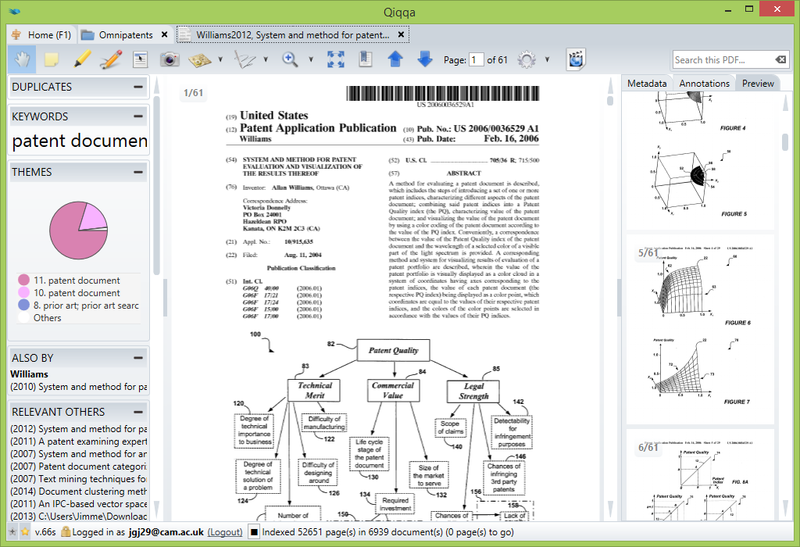 State-of-the-art PDF Reader with full-text-search, tagging, highlighting, annotating. Instant Google-like full-text search across all your libraries. 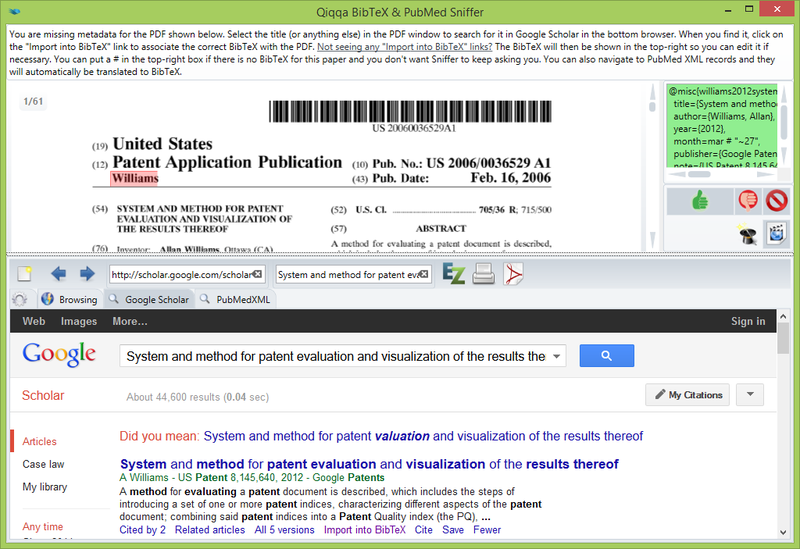 Associate BibTeX reference information with your PDFs semi-automatically. 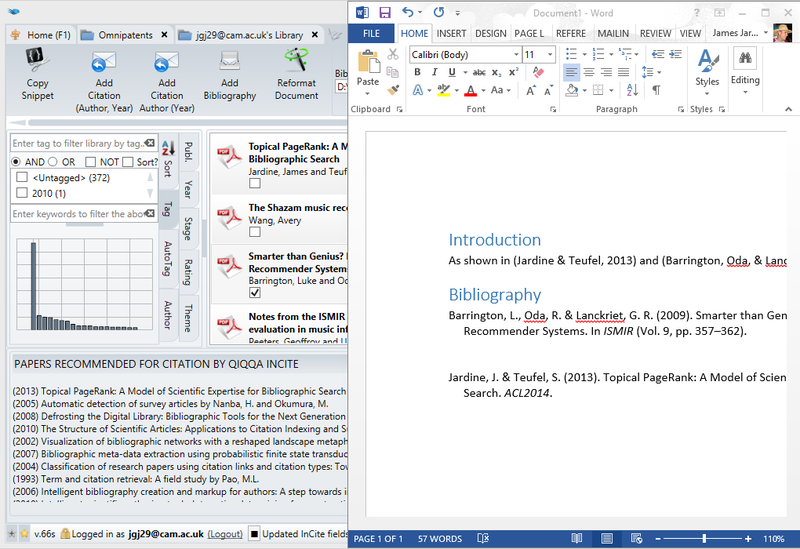 Cite-while-you-write automated bibliographies in Microsoft Word or in LaTeX/BibTeX. PhD-backed relevant recommended reading algorithms. 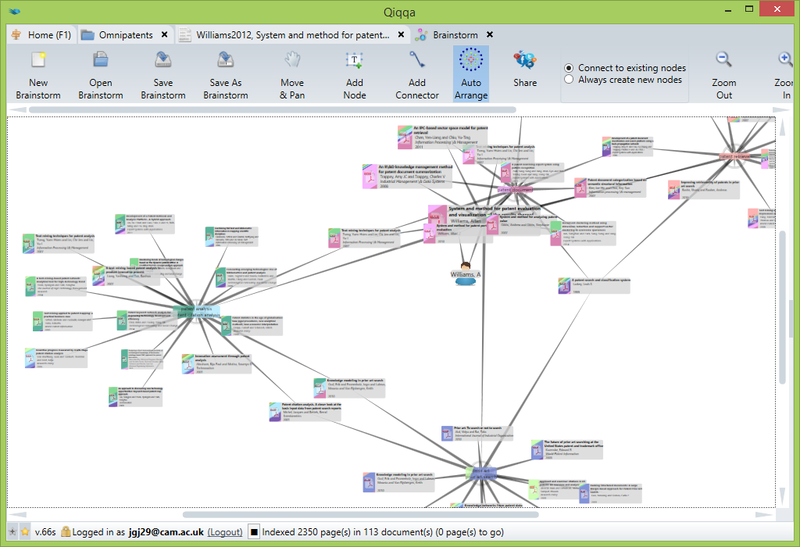 Explore your PDFs like never before with brainstorms. 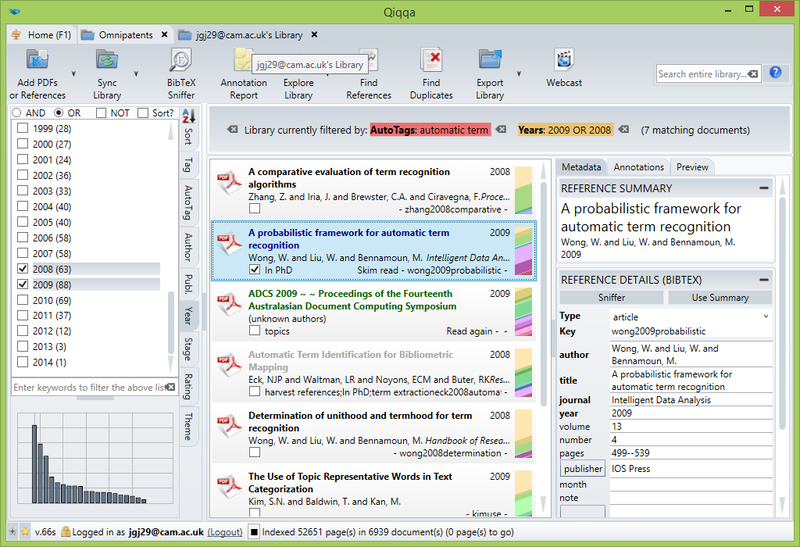 Automatically explore your PDFs by artificial-intelligence created themes. 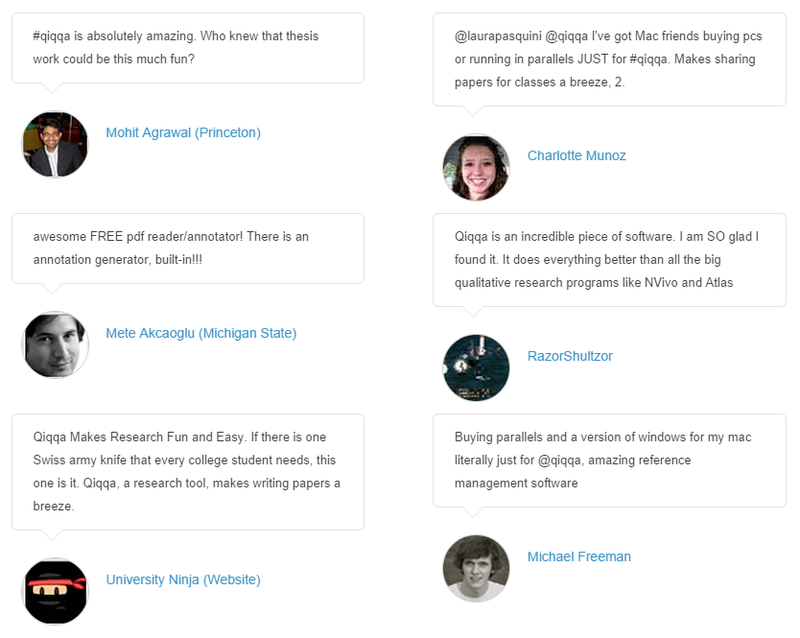 Trusted by students and researchers around the world! Please do take Qiqqa for a spin. If you think your students or colleagues would find it useful, please help us get the word out! Tweeting about us, or sharing our home page would be great, but if you'd like to post information up in your libraries, we have some posters below. Thanks for your time - we hope you enjoy Qiqqa! All feedback gratefully welcomed! Awards we have won these past four years! © 2014 Quantisle Ltd. All rights reserved.